Every now and then we put an idea together that comes with a little extra WOW factor. 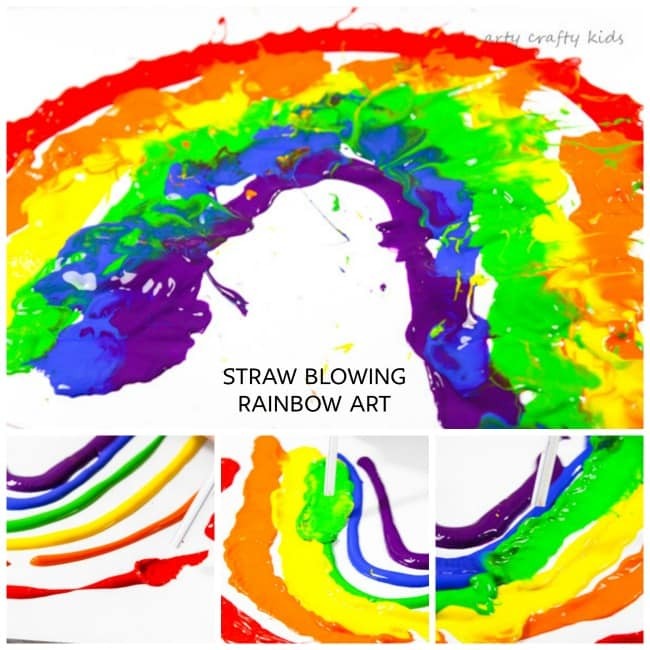 This simple straw blowing rainbow art project definitely has the wow factor, as well as the fun factor and the ‘I want to do this again and again and again’ factor. It’s an art process that ignites an incredible energy and enthusiasm, and I doubt you will resist the urge to have a go yourself. 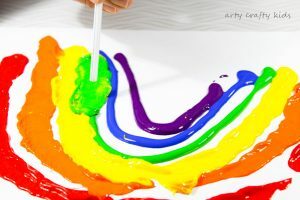 And its a fabulously unique and simple way to create a rainbow, that can be enjoyed by kids of all ages. 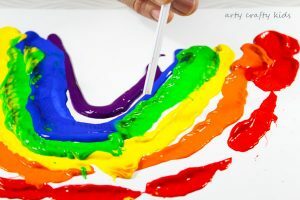 Squeeze the paint directly onto the paper to create a rainbow form. 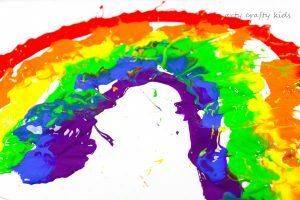 Take a straw and with a big puff, start blowing the first arch of the rainbow. Paint will splatter, spread and merge into each other to create fun patterns and texture. And once you have completed each arch, take an extra big puff and blow over the entire painting in random directions! 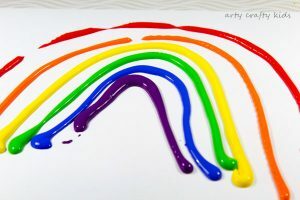 To see how Straw Blowing Rainbow Art works in action, take a peek at our video and be sure to subscribe to our new YouTube Channel! I hope you and the kids enjoy this awesome process and have lots of fun with it! My kids inevitably took the art process in their own direction and had a blast blowing the paint all over the paper, using various mixes of colours and at one point, multiple straws! It’s amazing how much puff can come from a three-year-old! 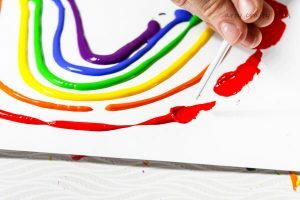 For more Rainbow Inspired fun, take a look at our Rainbow Paper Plate Craft and Rainbow Scrape Painting!